​1.Can an Emergency Medical Technician tell cops you were drinking? The relationship between police and an emergency medical technician is a very close one, as these are both professionals who serve the public. Many emergency workers include police, firefighters or EMT's. These experts work to serve the public, and they are bound by certain privacy limits, they do share pertinent information. A DUI is a crime and an EMT is not legally bound to tell police anything. 2. Can marijuana show on a DUI blood test? Police officials will run a test to detect THC, active ingredient in marijuana. If suspected of having consumed marijuana,police can opt to run full toxicology testing, if you have consumed marijuana, there the possibility that it will be found in blood. 3.How to get my DUI expunged? Expunging a criminal record is a complicated legal process, varies depending on the conviction. Having DUI expunged from record will involve steps depending on state in which you reside, because the process is complex, it is best to consult an experienced DUI lawyer to ensure you are eligible and following the proper legal protocol. 4.Can I apply for car insurance after a DUI? Yes, but following DUI conviction, your car insurance rate will increase. This may be difficult expenses to endure. Maintain your coverage. Insurance agencies, DUI lawyers note that a lapse of insurance coverage is damaging to premium more than paying at increased rate. 5.What rights does passengers have at DUI checkpoints? Rights of passengers at any traffic stop are independent of rights of the driver. A DUI checkpoint is non-discriminatory traffic stop.Elkhart DWI Lawyer can help protect your rights, defend you in the court, and investigate the charge against you. 6.What are the statute of limitations on DUI charge? Statute of limitations on DUI charge vary from state to state. 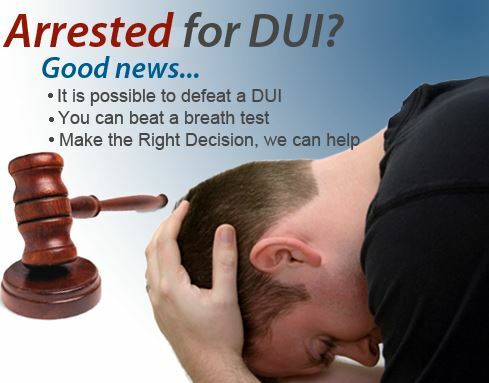 Elkhart DWI Lawyers can inform you about your state laws and limitations. Some states have no limitations at all. 7. Can I go to jail if second DUI conviction? Yes. While first DUI charge will count as misdemeanor and result in probation, community services, fines, suspended jail sentence, subsequent charges will come with stricter penalties, so yes you may go to jail for second offense. 8.Will I lose my driver's license after third DUI? Only four states, you will lose license for life following third DUI offense.Connecticut,Michigan,Maryland,Vermont. 9.Can DUI be dropped to a lesser charge? It will difficult recovering from DUI conviction, because it can effect the rest of your life. If arrested for DUI, an experienced Elkhart DWI Lawyer willnegotiate a plea bargain, exchange a guilty plea, no contest plea to help you get a lesser charge. 10.Can one drink put you over legal limit? Yes, legal blood alcohol content limit for all U.S. states is .08 percent. This BAC level depends on a few factors like including the amount of alcohol you have consumed, or how quick the alcohol is consumed or absorbed in your blood stream and physical or emotional existence of the person who is drinking. 11. How much will a DUI cost?